Bed bugs belong to a family of insects called Cimicidae. All members of this family feed exclusively on blood. The common bed bug (Cimex lectularius) has five developmental life stages. Each immature life stage (called nymphs or instars) must take a blood meal in order to develop into the next life stage. A bed bug nymph must take a blood meal to molt successfully. After growing through five instar molts, the bed bug becomes an adult. Adult bed bugs, both male and female, must also take regular blood meals to reproduce. The total development process from an egg to an adult can take place in about 37 days at optimal temperatures (>72° F). Adult bed bugs have a life span of nearly one year depending on regular access to blood meals and favorable temperatures. Bed bugs spend the majority of their time hiding together in cracks and crevices where they will not be seen or disturbed. However, they become active at night, between midnight and 5:00 am. It is during this time (when the human host is typically in their deepest sleep) that bed bugs like to feed. Bed bugs are known to travel many yards to reach their human host. Bed bugs are attracted to CO2 produced by the host exhalations, and they are also attracted to body heat. Bed bugs are able to move very quickly, and it is thought that they do a lot of wandering around before they are able to locate their food. After feeding, adult bed bugs, particularly the males, are very interested in mating. Bed bugs have unique method of mating called “traumatic insemination”. This mating behavior is considered traumatic because the male, instead of inserting his reproductive organ into the female genitalia, he literally stabs it through her body wall into a specialized organ on her right side. The traumatic insemination stabbing creates a wound in the female’s body that leaves a scar. The female’s body must heal from this wound and consequently, females are known to leave aggregations after being mated to avoid any further abuse. The number of egg batches a female will produce in her lifetime is dependent on her access to regular blood meals. The more meals the female can take the greater the number of eggs she will produce. On average, a female bed bug will produce between 1- 7 eggs per day for about 10 days after a single blood meal. She can produce between 5 and 20 eggs from a single blood meal. The number of male and female eggs produced is about the same (1:1 ratio). A single female can produce about 113 eggs in her whole life. A wandering female can lay eggs anywhere in a room. Under optimal conditions, egg mortality is low and approximately 97% of the bed bug eggs hatch successfully. Bed bug eggs can lay dormant for long periods of time, so even if the adult population is apparently extinguished, the unhatched eggs may repopulate the area. When providing bed bug service, pest management professionals (PMPs) must maintain a high level of moral responsibility, character, and business integrity. A treatment should never be performed unless an actual infestation is detected. PMPs should inform their clients what to expect with having a bed bug treatment plan implemented in their home. A PMP may have to have a customer follow specific instructions, such as stripping the bed and laundering sheets, emptying closets, dressers and nightstands and bagging and laundering clothes and linens, vacuuming and reducing clutter, and possibly allowing access to unconventional areas of the home. They might suggest installing mattress and boxspring encasements. If the mattress and boxspring are too heavily infested, it is highly recommended that the mattress, boxspring, bed frame, headboard and footboard, and even additional furniture in close proximity to the bed (night stands, etc) be removed and discarded properly, as improper disposal may result in spread of bed bugs to new locations. Note: Disposal of infested items does not guarantee bed bug control or elimination. Typical treatment sites are on and around bed frames, particularly cracks, crevices, holes, and wherever two surfaces join together, and directly to mattresses and boxsprings. Also, treatment of cracks, crevices, voids, drawer slides, and the undersides of other adjacent furniture and surrounding area. At Preferred Termite, Pest Control & Home Inspections, we offer comprehensive indoor and outdoor bed bug extermination services to stop infestations at their source. Our qualified exterminators are equipped to inspect your home environment, identify the scope of the problem, and determine the best course of action to eliminate those unwanted pests. Reasonable bed bug extermination rates. If you have a bed bug problem in your home, don’t wait to get help. Call today for more information or to request an estimate. 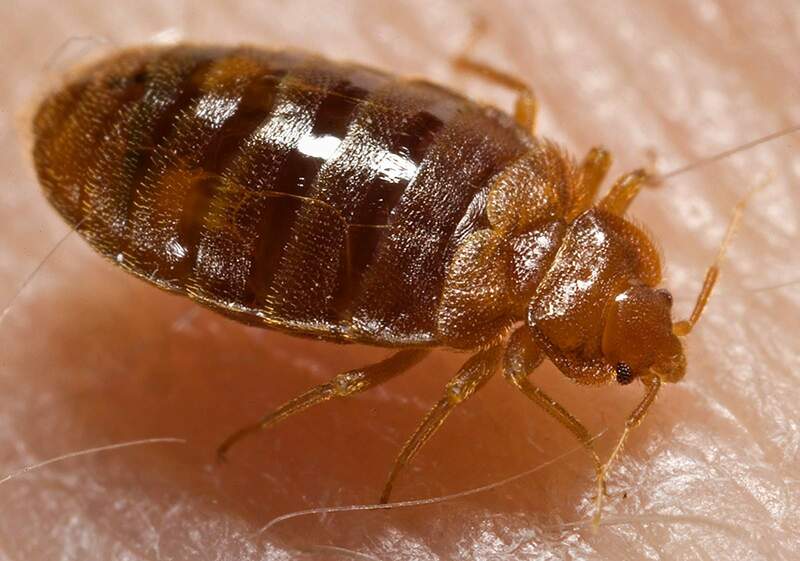 As the leading bed bug extermination provider in St. Joseph, Atchison, Liberty & Kansas City, we're equipped to handle any pest that may pop up and protect your property from future problems.